When compared to developed and key emerging markets in the region, India’s 2017 projected salary increases are highest. Indonesia at 9%, Sri Lanka at 8.9%, China at 7% and the Philippines at 6.4% are the other countries that make up the top five in this group. Salaries in developed markets such as the US and UK have projected increases in the range of 3%. According to the 2016 Salary Budget Planning (Q3) Report released by leading global advisory, broking and solutions company Willis Towers Watson (NASDAQ: WLTW). Exploration of the range of job grades across various industry sectors. It is designed to provide companies with guidance for their annual salary forecasting for the year ahead. 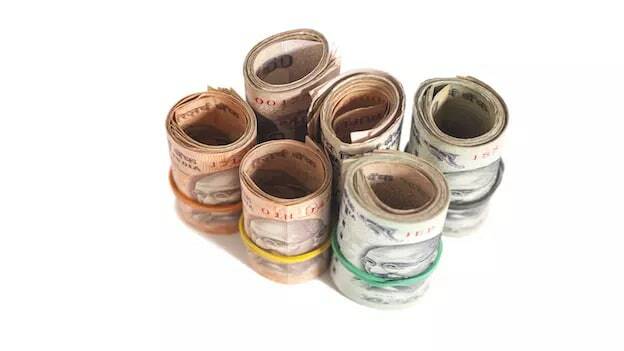 The report indicates that in India, 38% of the budget for salary increases goes to the top performers. Another 34% is shared by above-average performers while the remaining 28% of the budget goes to average performers. The pharmaceutical sector continues to project higher salary increases as compared to most other sectors at 11%, while the financial sector will likely remain well below average at 8.5%. The projected salary increase in the high tech sector for 2017 is likely to be the same as the previous year at 10%. How to rethink whether annual base salary increases are the best way to reward employees. Alternatives to better meet their needs and reflect their contribution. 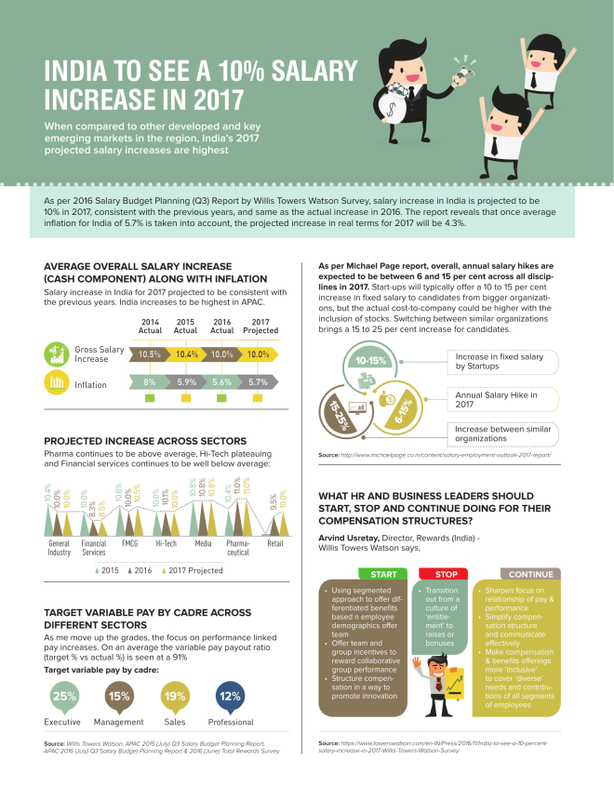 Report shows that, with tighter salary increase budgets, organizations very discernibly prioritize their top performers. NEXT STORY: Are we doing enough for leadership development?